The Indian government is making it mandatory to link nearly everything with aadhaar like lining mobile with aadhaar pan card with aadhaar and now you have to link aadhar with your bank account. This is to done to make sure who are getting subsidies and who are not getting it and why, another benefit of link aadhaar with the bank is to fight against corruption. In this tutorial by Cranky View, we will make this task easy as it is. Important date: 31 December 2017 within this date everyone should link their Aadhaar with bank accounts. 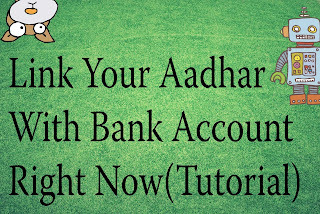 How to link Aadhaar number with Bank. 1. Go to the nearest ATM right now (SBI). 2.Enter your Debit card. Now, if your debit card is new that is if you have created a new account with the bank may be in 2016 or this year. You will notice after inserting your debit card the ATM screen will say, Do you want to link your account to Aadhaar card. You will get 2 option Yes or No. If you press Yes it will ask your Aadhaar number, you have to enter your number then it will again ask to re-enter your aadhaar number just for verification purpose, enter it again. After doing this your screen will say, You aadhaar number is linked to your bank account number and a mini slip will come from the slot.Collect it and leave the ATM. If The ATM don't ask for aadhaar number automatically then what? 1. Enter your debit card. 2. You will see many option link Banking, register etc. From that select Register which should be on third last bottom left side. Touch that. 3.Now select your account type Savings or Current, whatever may be your account type is. 4.Now enter your pin number. 5. Now You will see more option one of them should be like, link with aadhar number. You have to click on that. 6.Now everything is same as mentioned above ATM will ask for your aadhaar number, You have to enter it, again it will ask for your aadhaar number enter it again. 7.After completing step 6 you will get can collect your mini slip and leave. 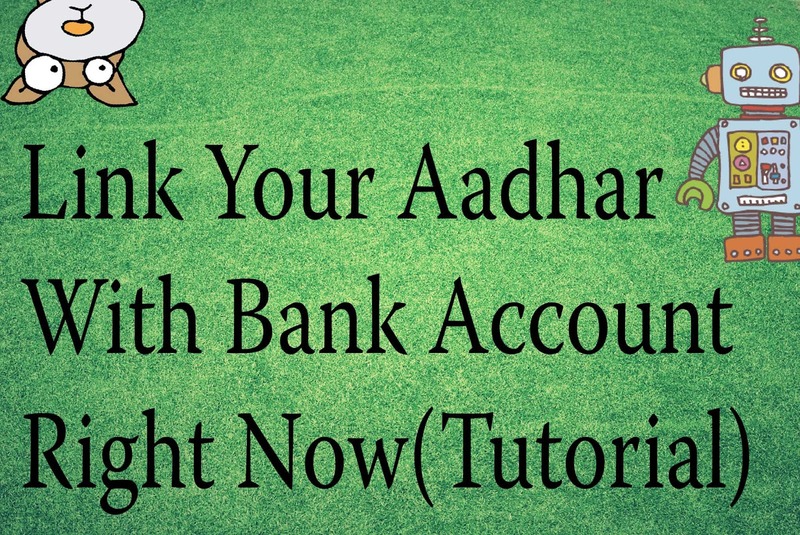 How to check Aadhaar is linked to your bank account? 1.Dial *99*# with your register mobile number. 2. It will ask for aadhaar number. Enter it. 4.You will Get a prompt claiming the title of the bank where your aadhaar is linked.